Robot sequel releasing during same week; hopes to emulate the Baahubali formula? The Robot sequel cryptically entitled 2.0 has finally found a release date. And it’s April 27, 2018…The week that Baahubali was released in 2017. In fact sources from the team verify that the date chosen is based on superstitious considerations. “The film was to come in January 2018. But when it was pushed forward Akshay Kumar preponed his other 2018 release Padman to the date of 2.0’s original release. Now 2.0 has gone to April 27, 2018. Baahubali - The Conclusion was released on April 28, 2018.And that’s no coincidence,” says the source. The makers of 2.0 see another Baahubali in their project. “Firstly the number of languages . 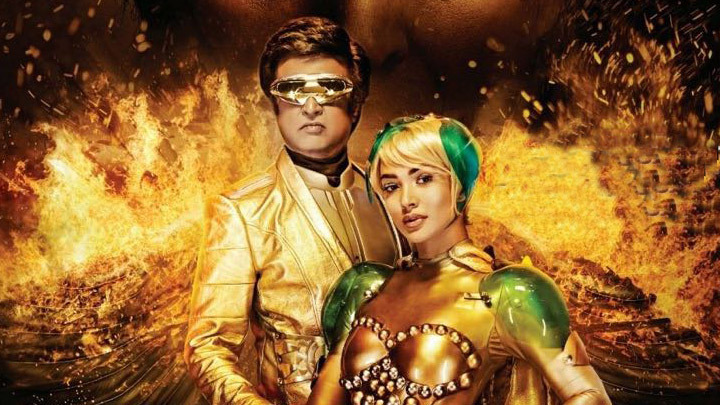 Just like Baahubali, 2.0 will be released in Hindi, Tamil and Telugu. Secondly with Rajinikanth helming the project the film automatically acquires box office supremacy in the South while Akshay Kumar presence ensures a North Indian box office. Thirdly, 2.0 is a Good-versus-Evil conflict. It was Prabhas versus Rana Daggubatti in Baahubali. It’s Rajinikanth versus Akshay in 2.0,” says a source from the film’s core team. In fact, says the source, the fourth week of April will see the year’s biggest blockbusters being released every year from now on. “It was Baabubali - The Conclusion in 2017. It’s 2.0 in 2018. It’s likely to be Rajamouli’s next film in April 2019,” says the source.